No matter how long you’ve been playing poker, you can always benefit from honing a few skill areas and perfecting parts of your strategy to enhance your chances of winning at the table. Newcomer to the fold? Browse our breakdown of common rookie mistakes below and how to avoid them. Been playing the tables for a while? We’ve listed a few key areas that even the most established of high rollers should consider before reaching for their next hand. Most types of poker prove enticing to the amateur and with Texas Hold’em rules remaining relatively straightforward, it’s easy for a rookie to dive in head first at their peril. Nobody likes to admit they’re a little wet behind the ears, but showing some humility and acknowledging you’ve a lot to learn is the first step towards cementing yourself as a success and a keen observer of Texas Hold’em strategy. One of the biggest things for a relative newcomer to the world of Texas Hold’em strategy to consider is all about etiquette, rather than the play itself. There’s always going to be sore losers, just as there’ll always be giddy winners. The rest of the table probably won’t appreciate either extreme. Besides, an outpouring of emotion is never a good idea for a poker player. In the heat of the moment, you risk giving far too much away about your current hand and game strength to a more experienced, insightful player. You’re even more at risk if this more experienced player doesn’t have to draw until after you. Another error of judgement that rookie players often fall foul of is to get overexcited and ahead of themselves at the table. Whether it’s from watching one too many casino movies, or simply the excitement of the game, newcomers have a tendency to wax lyrical with their interactions with fellow players. Consider that the players around you are likely more experienced and have been playing far longer than you. All they’re interested in is the game and chasing a win. Any interactions with fellow players should be short, succinct and civil. Pot odds are something that newer players don’t often consider, although they’re an ideal way of improving your hand if it’s looking a little lacklustre. In short, pot odds can help you determine whether you should call to see the next card and can make all the difference in winning big and losing out. When it comes to Texas Hold’em rules, pot odds aren’t something newcomers tend to consider until much later in their playing career. To give yourself the best chance of trouncing the competition, it’s worth spending some time studying a pot odds calculator and reading up on the rule concept of pot odds. If you’re fairly new to the game in general, or want to study up on pot odds and more involved Texas Hold’em tips, you’ll find plenty of useful guidance elsewhere on this website. When it comes to Texas Hold’em poker, you’d be amazed at just how many players crash out at the first hurdle for simply not understanding the roles. The biggest schoolboy errors tend to result from two major areas of misunderstanding. Firstly, if you’re playing Texas Hold’em poker online, always pick a four-colour deck option whenever possible. Many players mistake the value of their hands in the heat of the moment by confusing one suit for another, be it heart for diamond, or club for spade. This is particularly risky if you’re playing a fast-paced game. Another major hurdle newcomers face when getting established with Texas Hold’em strategy is by misunderstanding how hands are valued, often thinking that a hand including two suited cards is inherently stronger than mixed suit alternatives. This of course, is not always the case. Save yourself the embarrassment and financial loss of acting on a misread hand by getting clued up on combos and values before you venture too deeply into the world of Texas Hold’em. Been playing poker for a while? Chances are you’re well versed in all of the above and know a few other tricks besides, but it always pays to improve your game and there’s several areas even the strongest of poker players should continue to work on to ensure there as proficient as possible at the table. This is a lesson that comes quickly to anyone serious about perfecting Texas Hold’em strategy, but it’s something that’s easy to forget in the heat of the moment. The more experienced player knows that sometimes, a dazzling looking hand mightn’t be so glowing when called, so it pays to wait it out and chase higher value hands and bigger returns. The speed in which you play often increases as you become more experienced. One of the major areas you need to act sharply and confidently on is when it comes to ditching small pairs. 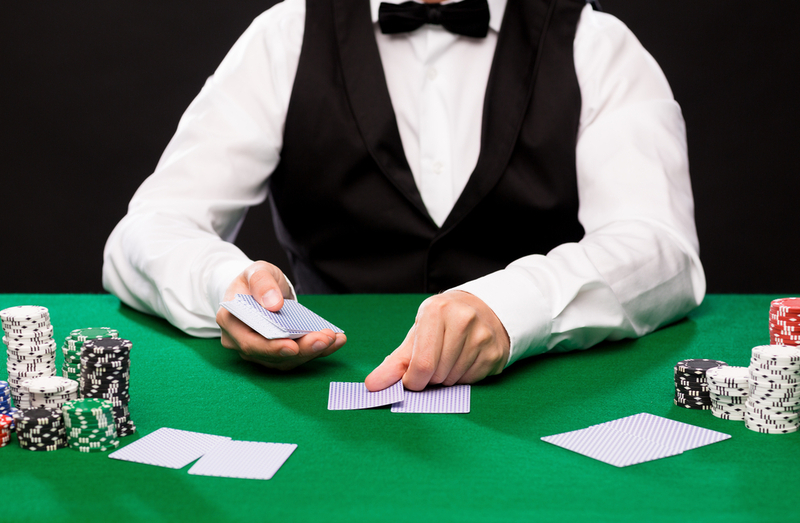 If the odds seem stacked against your hand doing any business, and your gut is singing out in unison, it’s time to ditch those cards and move on quickly. Although those high rollers dealing with six-figure sums and beyond might look like they’ve got money to burn, chances are they can fully afford a similarly substantial loss should they be unsuccessful at the table. No matter what your financial backing, you need to be playing within your means as well. Don’t make a habit of playing above your means, even if you have a good feeling about a game. What’s more, when you do inevitably lose out to other players, act gracefully and cut your losses. You might have lost the pot, but your reputation will gain something. While it’s true poker is ultimately reliant on chance, there’s a great deal of skill and psychology involved in this ever popular card game. Get yourself acquainted with poker play statistics and the number crunching side of Texas Hold’em strategy. Not every game will benefit from this knowledge, but it’s a great backing for those situations where instinct and confidence alone aren’t enough to propel you through to the next round.